ALTHOUGH there are astrological methods, in which the trends of astrological currents and their influence upon events are employed, and methods depending upon the observation of natural phenomena such as out-of-doors people often use, most divination depends upon the exercise, in some degree, of that which now is called Extra-Sensory Perception, more commonly referred to merely as ESP. This means that the diviner exercises, on the inner plane where they are not subject to the restrictions of time, gravitation and distance imposed by physical substance, the senses and faculties of his soul. Soul and conscious mind are synonymous terms for the sum total of an individual’s consciousness as it persists upon the inner plane. His objective consciousness consists of such portions of this consciousness of his soul as, through electrical energies generated in the nervous system, can at the time impart their energies to the cells of the physical brain. Most methods of divination stimulate the senses and faculties of the soul to gain the desired information on the inner plane and then project it up into the brain in such a manner that it can be objectively recognized. The ability of the senses and faculties of the soul to acquire information on the inner plane is as susceptible to development through training as is the ability of the physical senses and faculties to acquire information on the physical plane. Yet even as the normal individual with almost no training can acquire considerable information from physical sources, so the normal individual also has the power to acquire considerable information through ESP even though he has had no previous experience or special training. And although those specially gifted, and those who have had sufficient training, do not need such helps, others find some form of divinatory instrument a decided advantage. With it, much as a scientist can see things with a microscope or a telescope which are invisible to his unaided eye, they are able to bring information through from the inner plane of which they would be totally unaware without its assistance. While the soul senses cannot contact physical conditions directly, they can contact the astral counterparts of physical things and trace their world lines as well as gain access to information which belongs exclusively to the inner plane. But whatever information is thus acquired from inner-plane sources, before it can be recognized by objective consciousness, or whether it is ever recognized by objective consciousness, first resides as a memory in the soul, or unconscious mind. And to bring it through into objective recognition it is subject to the processes that enable physical perceptions or objective conclusions to be remembered. Yet in comparison to physical experiences which the individual strives to remember these Extra-Sensory Perceptions are heavily handicapped. The physical experiences when they entered consciousness utilized electrical energies to modify the physical brain cells. It was this impression of the physical brain cells which constituted objective consciousness of the experiences. The electrical energy associated with the brain cells thus impressed imparted some of its motions to the inner-plane substance of the soul. And this organization of energy within the soul persisted in the soul as a memory. Now to remember some physical experience, or some thought which once has passed through the brain, requires that the inner-plane organization of energy within the soul which constitutes the real memory of the occurrence or thought shall connect up with electrical energies in the brain sufficiently that it can use them again to impress the brain cells in the same manner they were impressed when the experience to be remembered first took place. But as channels for electrical energies of the required modulation already have been established to the brain cells that originally registered the experience, and as the brain cells have already been modified to accommodate objective consciousness of the experience or thought, the soul needs to command very little electrical energy to cause the experience or thought to be remembered. As soon as the experience or thought gains the attention of the soul and thus acquires some additional inner-plane energy by which electrical currents can be set in motion, these electrical currents find both an open channel and preconditioned brain cells waiting to give the memory objective recognition. But an inner-plane experience finds no such open channel, and no such electromagnetically preconditioned brain cells waiting to register the impression. Instead, it must either command sufficient electrical energy to make its own path and impress brain cells as they have not before been impressed, or it must follow channels already prepared by previous experiences and impress brain cells in the manner they at some previous time have been impressed. The electrical energies that more commonly can be commanded by an inner-plane experience are not vigorous enough to make new paths and impress brain cells that have not previously been properly modified. When they move through the brain, there fore, they are deflected from the course which would register direct perception of the experience into channels which lead to brain cells which have previously registered other experiences which are closely associated in the unconscious mind with these experiences. That is, they follow the line of least resistance. Furthermore, this principle of following the line of least resistance applies also to the image or thought even before it communicates its energy to electromagnetic forces. There are conflicts and repressions and various forms of competitions between factors in the unconscious mind which make it easy for some thoughts and images to acquire much energy for purposes of expression, and which restrict or prohibit other images from acquiring energy for purposes of expression. Censorship or emotional accentuation exists for many images in varying degrees. Thus that which is recognized by objective consciousness after some Extra-Sensory Perception more frequently is not that which was actually witnessed on the inner plane, but quite different images which are tied, through the Law of Association, to that which was actually perceived. The unconscious mind, for reasons fully explained in Chapter 3 (Serial Lesson 58), Course V, Esoteric Psychology, finds it easier to communicate whatever it has perceived to objective consciousness by means of symbols rather than by means of lately acquired arbitrary words. And it also, for the reason just explained, usually finds it easier to present to objective consciousness images which are linked through association with what it perceived, than to present the images it actually perceived, and as they reside in the memory of the soul. Extra-Sensory Perceptions, therefore, are of two types, direct perceptions and symbolic perceptions. Direct perceptions are those in which the images and information are presented to objective consciousness as they are perceived by the soul. Symbolic perceptions are those in which the images and information presented to objective consciousness must be interpreted through converting them into other images and meanings to determine just what was perceived on the inner plane and its true significance. 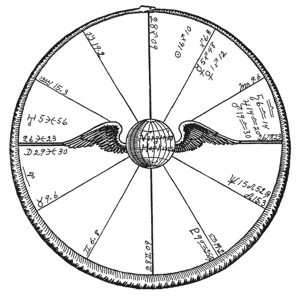 Thus in gazing into a globe of glass or into a magic mirror, the globe will become cloudy, or white clouds will appear on the surface of the mirror, then they will clear and a picture will be presented to the diviner of certain happenings. Events will be seen much as they appear on the movie screen. The diviner may even see himself as one of the actors in this drama. Nor is it always a silent drama; for not infrequently he may hear the words that are spoken, and smell the odor of the flowers that are seen. The picture so beheld may be an event that is actually transpiring on the physical plane at a distance, or it may be an event which has not yet come to pass on the physical plane but which eventually will happen just as witnessed. In either case the divination is of the direct perception type, not because a divinatory instrument is or IS not used, but because what is seen needs no translating into other terms to be understood. With training many people are able to practice divination without any manner of divinatory instrument. And in so doing they may see, hear and feel happenings on the inner plane just as they actually are occurring at a distance on the physical plane, or as they will occur in the future on the physical plane. Such independent use of ESP is greatly preferable in the higher phases of occult developments. But most will find it much easier, at least at start, to use some form of divinatory device. Almost anyone with a little practice can learn to get some results in this way. Yet whether ESP is practiced independently of a divinatory device or with its aid, it will be found usually much easier to gain the desired information through Symbolic Perception than through such Direct Perception as has just been described. Even when a crystal globe or magic mirror is the instrument used, the first images seen usually are of the symbolic type, and often information of great value is obtained through them. Therefore, while here not treating specifically of crystal and magic mirrors, nor of the exercise of ESP apart from divinatory instruments, much that I shall say about other methods of divination, and particularly about the function of symbols, also, of necessity, applies to them. In ancient times, moreover, the flight of birds was observed as a means of foreseeing the future. Another method, which has been abandoned, I am glad to say, was to slaughter an animal and cut it open and from the entrails discern that which was to come to pass. Dreams also, in olden times, as repeatedly recorded in the Bible and in ancient history, were looked upon as presignifying the future. And while they have a different significance to the psychoanalyst, they also may be made the means of gaining much foreknowledge at the present day. But among the various divinatory instruments, none is easier to use than the teacup or the coffee cup. Either offer possibilities which are quite astounding. A cup that is white and glossy inside is best. In pouring the tea or coffee, pains should be taken that there are enough tea leaves or coffee grounds that when they are shaken about they will fairly well cover the bottom of the cup. That is, if spread out on the bottom of the cup no large areas of the white cup bottom should show through. It is not absolutely essential that there should be this many leaves or grounds, but this amount—say half a teaspoonful—seems to give the widest range in their subsequent arrangement. Neither is it necessary that the person whose cup is read should drink the tea nor coffee. He should be, however, the only person to handle the cup after the cup is drained of tea or coffee until the leaves or grounds have been distributed and the cup is handed to the diviner to be read. As it is customary for tea and coffee to be strained as poured into the cups, it is quite permissible while a little tea or coffee remains in the cup to have half a teaspoonful of leaves or grounds added to it expressly for the purpose of having enough material for divination. Nearly all of the tea or coffee liquid should be drained off, just enough moisture remaining that the leaves or grounds when shaken will stick to the side of the cup as well as to its bottom. Then the person whose cup is to be read should concentrate his mind on that which he desires to know from the cup. If there is some particular information he wants, he should hold the thought strongly that he expects the correct answer to this question to be found in the cup. If he seeks a serious and intelligent reading he should be very much in earnest. If there is no particular information sought, he may hold the thought strongly in his mind that the cup will truthfully reveal the future. Whatever he seeks from the cup should be clearly and strongly formulated in his mind. Then holding the cup at such a distance that he cannot see into it, and while keeping his mind on what he desires it to reveal, he should shake the cup about in such a manner that the leaves or grounds will be distributed over the bottom and side of the cup. He should give whatever kind of motion, in the distribution of the contents, that he feels impelled to make. Then without looking into it to see how the contents are arranged he should turn the cup upside down in the saucer. Finally, to complete the ceremony, he should revolve the cup around in the saucer, while it is still upside down, turning it around thus from left to right—in the direction the hands of a clock move—three times around. No one, after this, should be allowed to touch the cup, or look into it, until it is given to the diviner to read. The diviner may be the person whose cup is to be read, or another person. But for the best results it is essential that no person shall see the inside of the cup except the person giving the reading, until after the reading is completely finished. The reason for this is that another person seeing the symbols in the cup is apt to form conclusions. These conclusions may be perfectly correct and result in an accurate reading if followed to their full destination in the proper order of sequence. But the diviner in reading the cup contacts these conclusions projected from the other person’s mind, through the symbols that have given rise to them, and thus approaches the matter from a point of view that is not his own. Such mental contagion as it is called by them, is well recognized as influencing the results obtained by academic experimenters in ESP. And unless the mentioned precaution is taken it may warp the diviner’s usual method of interpretation. Thus do the best results require that no one but the diviner shall see what is in the cup until after the reading is completed, and that during the reading he should not be hurried or unduly interrupted. The diviner then takes the cup into his hands and gazes intently into it. As a rule, the more completely his mind becomes absorbed in contemplating the inside of the cup, and the more oblivious he becomes to his external surroundings, the clearer the reading he is able to give. A state approaching abstraction, in which the contents of the cup are minutely examined, but in which thoughts unrelated to them are inhibited, is often found best. No hard and fast rules can be laid down as to this, however, for the conditions that permit the content of the unconscious mind of one person best to impress itself upon the everyday consciousness may not be the conditions that best permit another person’s unconscious mind to register its thoughts on the everyday consciousness. Some even find it best to engage in conversation, only glancing into the cup now and then, and in this glance perceiving a symbol to be interpreted. In this case very brief periods of intent concentration interspersed with long periods of relaxation in conversation yield better results than a long period of steady concentration. A little experimental practice, however, enables a person to determine the manner in which he can perceive clearly the most symbols and get impressions concerning their interpretation. The whole process of manipulating the cup, before it is given to the diviner to read, is for the purpose of arranging the tea leaves or coffee grounds into symbolic groups and forms. In this arrangement, when the person is very much in earnest, his thought cells working from the inner plane, and at times other inner-plane intelligences, exert an influence. The tea leaves or coffee grounds, as they are agitated about in the cup in association with a small amount of liquid, are acted upon strongly by electromagnetic energies manipulated by the mentioned inner-plane intelligences. This tends to cause them to form groups and diagrams of proper symbolic import correctly and intelligently to answer the desire in the mind of the person in whose cup they are found. The combined inner-plane intelligences present may act largely through the unconscious muscular movements of the person, in thus arranging the leaves or grounds, much as it may do in table-tipping, in using the Ouija board, or in automatic writing. Or, on other occasions, it may act more directly upon the leaves or grounds, their saturated condition facilitating their movement by the electromagnetic energies surrounding persons present. A little experimentation, under proper conditions, joined to careful observation, will quickly convince the open minded that, aside from the ESP ability displayed by the diviner, the leaves or grounds often take such form as unmistakably and intelligently to answer the thought in the mind of the person. It is certain that there is often present, when a person who has faith in cup divination is manipulating the cup prior to a reading, some intelligent force that causes the contents of the cup to assume such forms as to answer correctly with the information the person desires. On occasions, too, there will be perhaps but a single symbol stand out in the cup, and this symbol of such obvious form that anyone looking at it will see it as the same symbol, and this universally accepted as representing a certain condition or event; yet when the events come to pass they prove the verity of the symbol so seen. 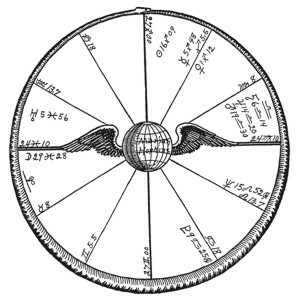 The world lines which will converge in the production of definite events are perceived by the person’s soul, and it utilizes such electromagnetic energies as are present to cause the contents of the cup to assume such forms as most readily will be recognized as presaging the events thus foreseen. The diviner, when he takes the cup into his hands to read it, should permit his imagination full play. There may be symbols in the cup, so arranged by the inner-plane intelligences present, that they are obvious and their import may not be mistaken. But to rely solely upon these obvious symbols is greatly to curtail the amount of information that may be had. What is being striven for is to bring up into the region of everyday consciousness as many images as possible that are perceived by the soul regarding the person. To do this a large variety of trial images may be permitted to pass through the mind. That is, the imagination should be allowed full play in regard to the images the various groups of leaves or grounds suggest to the mind. It is not necessary for the purpose that the form in the cup have any real resemblance to the thing thought of, only that it suggests that thing in some manner to the mind. Most of us at times forget the names of persons. In vain we try to recall the name of someone whose face is quite familiar. Then someone begins to go over a list of names, speaking them aloud. We know the names we hear are none of them the one we seek, yet we do not remember the right one. Then the name of the person is spoken, and we instantly recognize it as the one sought. It has, all the time, been present in the unconscious mind, or soul, but has lacked the right association with thoughts already in the brain to pull it to the surface of objective consciousness. But once we hear it we recognize it instantly, and we do not accept other names as the right one when they are heard. Now this is just what happens in looking at tea leaves or coffee grounds, only that sight instead of sound is used, and what we are trying to remember, although it is as much in the unconscious mind as the person’s name we tried to remember, yet it has never been in objective consciousness. It has never been recognized through the physical brain. We nevertheless use a similar expedient. In going over a long list of possible names, we go over a list of images supplied by the imagination. A certain group of leaves or grounds may at once suggest the picture of a certain object. On the other hand we may look at it some time trying to ascertain what it resembles. It may actually look as much like a cat as like a duck. Nevertheless as we look at it we wonder if it can be a cat, or a monkey, or a horse, or finally, a duck. When we come to the image duck, we perceive that it certainly represents a duck. We see it as a duck because the soul recognizes the duck as the symbol of some of the information it is trying to impart to the physical brain. We recognize it as a duck instead of something else for the same reason that we recognize the right name as belonging to the person when we heard it. The name was in the unconscious mind, and the information that the duck symbolizes was in the unconscious mind. Both the name and the duck are mere symbols, the one for a person and the other for something perceived by the senses of the soul. It follows, then, that a very free imagination which causes images of various sorts readily to be suggested by the most superficial resemblance to what is actually seen, is often an advantage to a cup diviner. Not that the diviner usually is conscious of the trial and error method of determining what a group of leaves or grounds looks like; for with practice the line of association between the image in the soul and the arrangement of grounds or leaves in the cup becomes so strong that the right image may be recognized at once. Yet on those occasions when there is difficulty in forming judgment, and at other times when a diviner has had little experience, it is a decided advantage to have fertility of resources in the matter of the fancied likeness of the arrangements in the cup to animals and inanimate objects. To persons of the more imaginative type, a host of symbols may be seen in the arrangement of grounds or leaves, one symbol crowding on another in the rapidity with which it is recognized. Such persons read the cup with great ease. But their readings are no more apt to be reliable than those of more deliberate minds. Some persons must put forth a decided effort, and turn the cup this way and that, and scrutinize each group of leaves or grounds with minute care, before they can get the faintest suggestion that it looks anything like what they have ever previously seen. Their reading of the cup is very slow, quite laborious, and usually lacking in flowery trimmings. Yet those who divine in this painstaking manner are just as likely to divine accurately as those of the other type. Not the facility with which images are seen, nor with which symbols are translated into terms of events, determines the reliability of the diviner, but the correctness of his conclusions. And this can only be determined by comparing numerous cup readings with subsequent events. Let it be understood, then, that the cup is an instrument through which the soul of the diviner, by means of a code, transmits information to his physical brain. It may be asked why a code is necessary. I ask, in turn, why is a code necessary in transmitting information by telegraph? It is because the telegraph instrument is a device suited to code communications, and not to such direct messages as may be transmitted by telephone. Likewise, the divining cup is a divinatory instrument suited for transmitting code messages from the soul to the physical brain. It is quite possible that information may be communicated from the soul to the physical brain more directly, without the use of a code. In fact, those who use the cup for divination frequently use the cup and its code messages merely as a starting point, and after getting connected up, no longer pay much attention to what the cup contains, gradually drifting into the more direct perception type of ESP in which symbols are not used. This direct type of divination, however, is more difficult to attain. Most people, in sending a quick message from Los Angeles to New York, use the telegraph. This does not imply that it is impossible to speak to a person in New York, from Los Angeles, by telephone. It merely implies that it is more convenient for many reasons to use the Morse Code of the telegraph system. The soul, in communicating with the physical brain in reference to matters of which the latter has no previous knowledge, likewise usually finds it more convenient to use the code of symbolism. By now it should be clear why a definite and predetermined routine should be followed in manipulating the cup before it is given to the diviner. Not that turning the inverted cup from left to right in the saucer, three times around, is of much importance. That which is important is that the inner-plane intelligence present at the time shall know the order of procedure; for knowing this facilitates the distribution of the tea leaves or coffee grounds so as to present appropriate symbols. For the best results, also, the soul of the diviner should know beforehand the interpretation which is apt to be placed upon certain symbols and their positions in the cup. Such a prearrangement, perhaps, is not absolutely essential for good results, for the soul may perceive how a symbol will be apt to be interpreted. Also there are many symbols universally accepted as having a certain significance. But the information can be transmitted from the unconscious mind to the physical with more certainty, with greater facility, and with more elaborate details, if there is a complete understanding between them beforehand as to the precise meaning of the code, or symbols, used. Thus a diviner might read the bottom of a cup as that which will happen in the near future. And if his soul understood this—if the diviner habitually read the cup in this manner—he could give a correct reading. Usually the bottom of the cup is not so considered. But if it were read as the near future at one time, and as the distant future at another, in all probability the unconscious mind would become confused and the proper signal would not be given. It is not so important that the diviner follow any particular code, or follow any one routine in preference to another, or interpret a certain symbol as a certain thing and not another. But it is exceedingly important that the same code be used at every reading, that the same routine of reading be followed, and that the same symbol always be interpreted in the same way. In other words, a system of signals should be decided upon, which by repeated use also becomes well recognized by the soul, enabling it to transmit messages to the physical brain with precision by the use of these prearranged signals, or symbols. A symbol, or signal, may be chosen quite arbitrarily. This, however, is quite unnatural; for the mind when not forced permits one thing to represent another only when there has been some familiar association between them. This association may arise through their resemblance—likeness or unlikeness—or through the circumstance that both were presented to the mind about the same time. 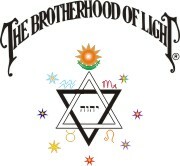 This Law of Association is explained in detail in Chapter 2 (Serial Lesson 57), Course V, Esoteric Psychology. In divination people not only desire to know the nature of the events but they wish to know when they will transpire and where they will take place. Applying the Law of Association, because the contents of the cup closest to the brim is that portion first contacted in drinking, it is quite natural to think of the brim as the present and any emblems close to the brim as being significant of the immediate future. The bottom of the cup, then, is suggestive of the very distant future, that portion of the cup where it joins the bottom as the distant future, and the portion of the cup midway between the brim and the bottom as moderately distant in the future. This gives five time periods: 1. The present. 2. The immediate future. 3. The moderately distant future. 4. The distant future. 5. The very distant future. Then as the handle of the cup is the portion of the cup encircling the finger in drinking—a place from which the movement of the cup is directed—we can readily associate the handle with the home, or residence, of the person. Distances from the handle, to the left or to the right, in the cup show at what distance from the home the event will take place. 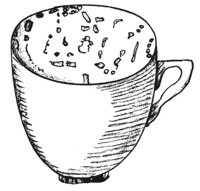 People may be shown in the cup by groups of leaves or grounds that closely resemble people or their faces, or they may be represented by single tea leaves, or small more or less perpendicular groups of grounds. If the symbol is forked at the bottom, or if there is no spreading to suggest a skirt, it is considered a man. But if the emblem is perceptibly wider at the bottom, even slightly suggesting a skirt, it is considered to be a woman. If the leaf or emblem is lighter in color than the average of the leaves or grounds, the person represented is a blond; but if it is darker than the average, the person represented is a brunet. The various past experiences of the diviner, through the association of certain objects with these experiences, will, in all probability, have furnished his soul with many symbols that have a specific meaning to it, which would not be comprehensible to another person. Thus, if at some time he has had a misfortune come to him while under some conspicuous tree, the symbol of a tree in the cup will signify misfortune. Or if he has been bitten by a dog when he was a child, a dog among the emblems in the cup will signify danger. If some dear friend was killed by a railway train this strong association caused by the shock of the news of the accident may make a lasting impression, so much so that a railway train may become the symbol of the death of an acquaintance. Each person has a large number of such symbols that have a meaning only to him, because somewhere in the past they have been more or less associated with his emotions. They are used by his soul through dreams and through divinatory instruments, such as cup divining, as a part of the code by which it endeavors to impart information to the everyday consciousness. As no two persons have the same experiences, no two persons will have the same code in all its details. Therefore this private code, which springs from the individual experience, must be learned by each for himself. This may be done by reflecting on what kind of an experience in the past a symbol calls to mind, and by observing what events actually come to pass after observing a certain symbol. By far the larger number of symbols used by the soul in its code messages to the physical, however, have such an obvious association in the ordinary run of life that they mean about the same thing to all who have not had some unusual experience that is associated with them. Thus, the symbols above mentioned, to the person without such extraordinary experiences, have a very different meaning. The tree, because of its strength and long life, is usually interpreted as a symbol of health and vitality. The dog, because of its faithful companionship with man, is usually interpreted as a friend. And a railroad train, because it is commonly used for transit, is usually interpreted as a journey. The student who has studied astrology will frequently find astrological symbols in the cup. These, of course, are interpreted according to their usual astrological significance. Both letters and numbers, also, are frequently seen in the cup, and may be interpreted by their significance as given in the Hermetic System of Names and Numbers (Course VI, Sacred Tarot). Any students who have given some study to the Sacred Tarot (Course VI) will have a great number of symbols added to their repertory by which their souls can transmit messages in code to their brains, for these symbols may be interpreted according to the significance given to them in tarot study. Let us carry our interpretations a step further, using almost the Free Association method of the psychoanalyst. To most, clear skies suggest good fortune, and cloudy skies suggest trouble. Therefore, what is seen in the cup in the clear spaces, not in the murky patches, may be interpreted as happenings without confusion or trouble, but the same symbol seen in the cloudy part of the cup signifies that the event, although essentially the same, was accomplished with difficulty and accompanied by much trouble. Dashes may be interpreted as enterprises that have started but that need time to mature. They suggest movement, yet reach no important destination. A cross, because of its common religious association, is a symbol of hardship and suffering. A circle is something completed, or finished, because the line of which it is composed has completed its cycle. That which is found within a circle, or an enclosure, indicates that it is restricted or imprisoned. A wavy line, like waterwaves, suggests, and may be interpreted as, indecision—as changeable as water. A line that is undulating, like a highway, may be interpreted as a road. A fox in the cup signifies trickery or cunning, and a cat signifies treachery, because of their common associations. A rabbit, because of its common association, symbolizes timidity and lack of courage; and a snake, because of the biblical curse relating to its enmity to man, usually may be interpreted as an enemy. A bird on the wing, seen in the cup, because of the association common to the carrier pigeon, and because migrating birds bring news of the approaching seasons, may be interpreted as a message. The direction in which the bird is traveling indicates where the message is going. If it is flying toward the handle of the cup it is approaching, but if flying away from the handle of the cup, it is going away from the person receiving the reading. A horse, probably because in astrology Sagittarius symbolizes the higher mind, is usually interpreted as a mental condition. If it is a light-colored horse, it signifies the higher aspirations. If it is dark in color, it signifies thought about more material things. If it seems to be drawing a load, it means success through careful planning. If it seems so be running away, it signifies that undue enthusiasm will carry the person beyond that which is the part of wisdom. A mouse, because of its common association with small difficulties, may be interpreted as petty annoyances. A parrot, because it is commonly associated with much useless and sometimes annoying talk, may be interpreted as a scandal. A horseshoe, seen in the cup, even as it is so considered by popular tradition, is a symbol of good luck. The object seen in the cup nearest to the horseshoe indicates from whence the good luck will come. 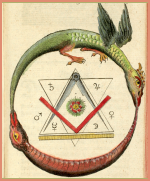 Fish, commonly, are not to be interpreted according to the astrological sign Pisces, because this significance is known only to astrologers, but according to the fisherman’s notion, that of gain. Thus, more often than not, they signify money, and the size of the fish indicates the size of the sum, and the direction it is going from the handle of the cup determines whether the money is coming to the person or leaving him. A peacock is to be interpreted according to its common significance, being an emblem of vanity. A butterfly, because it flits from flower to flower, feeding on the nectar, is to be read as pleasure. A fan, because it is sometimes used for clandestine signals, is the emblem of a flirtation. An umbrella, because of its use in rainstorms, is the emblem of impending emotional stress. A spoon, perhaps because of the colloquial expression “to spoon,” is the symbol of a love affair. A tortoise, or turtle, because of the traditional race between the tortoise and the hare, is to be interpreted as success through slow, plodding effort. A spider, because of the web it constructs in which to catch its prey, is to be considered as the symbol of a trap, or plot, which is set to catch the person to whom the reading is given. A ship, because of its common association in the mind with the saying, “when your ship comes in,” may be regarded as a symbol of approaching wealth. A gun or pistol is the emblem of a dangerous enmity; a person who desires to injure seriously. A pair of scissors, because of their cutting edges and form, signifies two persons at cross purposes. A ladder, because it is used to climb, is to be interpreted as a rise in position, or greater success. Flies, because of the saying, “a fly in the ointment,” symbolize disagreeable happenings that tend to spoil the plans. A bottle, because of its usual association with intemperance, may be interpreted as dissipation. Flowers, because they are commonly used to express goodwill and kindness, may be interpreted as happiness. I might go on to mention almost every article commonly seen by man, and give its interpretation when seen in the cup. But this would serve no good purpose. Those symbols mentioned have been cited merely as examples of the manner in which the emblems seen in the cup should be interpreted. To the soul, in its code messages to the physical, an emblem symbolizes that which it is most strongly associated within the unconscious mind. This usually, though not always, is that event, or quality, or thing, which most readily comes into the mind next after thinking of the emblem. Usually, as in most of the above examples, the relationship between the symbol and that which it signifies is quite clear after a moment’s reflection. The skilled cup diviner, however, does not leap from one symbol to some other on the far side of the cup. He starts in with those symbols nearest the brim of the cup, and nearest the handle. Often there will be a chain of symbols reaching from near the brim down into the bottom of the cup; reaching from the present into the very distant future. He permits his attention to follow these symbols in the order in which they occur, and strives to perceive the exact relationship of each symbol to the next one in the series, and perhaps how the symbols on one or both sides influence it. As he passes from one symbol to another, observing the influence of adjacent symbols, he endeavors to weave the whole into a connected story. He seeks to point out how one event follows another, and what causes each. Instead of a disjointed account he strives to knit together the influences and persons and events represented into such a connected narrative of the future that it brings out all the important facts and relationships. In the early part of the chapter I mentioned that the ancients made forecasts from the flight of birds. Birds in their flight, when in flocks, by their relation to each other, present the outlines of symbols. These symbols, observed by viewing a flock of birds, may be interpreted after the same manner as when reading a cup. In addition, birds sometimes fly higher than usual and sometimes fly lower than usual, and sometimes fly with more directness than at other times. Probably arbitrary meanings once were attached to these methods of flight, but of much more consequence than this was any peculiarity noticed by the observer. These peculiarities might be real or fancied, but they gave the soul a chance to impart code messages by attracting attention to these actions that seemed out of the ordinary. The entrails of slain animals that were observed in ancient times as a means of divination also were read in almost the same manner that I have described for cup divining. The viscera of the animal presented a glassy surface, somewhat similar to that of a china cup. The entrails, as they lay before the observer, were curled and twisted in fantastic designs, which pre presented many fanciful likenesses to the forms of creatures and objects. Such of these symbols as were observed formed the code message by which the soul of the diviner imparted information that it perceived, regarding approaching conditions, to the physical brain. Clouds, also, to one well versed in symbolism, may be used very effectively as a divinatory instrument. They lack one factor that gives to the cup a decided advantage. Tea leaves and coffee grounds are influenced to take certain shapes by the inner-plane intelligence present. But we are hardly to suppose that clouds are so influenced to any appreciable extent. They do, however, offer an extremely wide, and ever-changing, range of symbols. They should only be consulted as a divinatory instrument when the mind is quite anxious about something, or after there has been a deliberate resolution to read them. Then the attention should be centered closely upon the first clouds seen, working from this center carefully, as a cup diviner works from the brim near the cuphandle, in a gradually widening circle. The attention should not wander all over the sky at random, but each symbol should be interpreted as it is seen, in working out from this arbitrarily chosen center. The interpretation should be made in precisely the same manner as when divining by the cup. In the use of the cup, clouds, globe of glass or magic mirror, the diviner with practice will begin to get impressions apart from the symbols and what these symbols may reasonably be expected to mean. A name, or a date, or less startling information, may pop into his thoughts without any apparent connection with the symbols. He should not hesitate to express these thoughts, and subsequently to test their accuracy. He also may glimpse events apparently not suggested by the symbols. 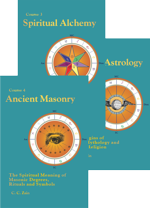 By expressing these impressions and carefully watching for them, he will gradually develop the direct type of Extra-Sensory Perception, in which that which he seeks to discern is perceived objectively just as his soul senses perceive it on the inner plane instead of objectively perceiving only their symbols. And he gradually will develop such facility in the use of Extra-Sensory Perceptions that he will be able to discern that which is transpiring at a distance, which has transpired in the past, or which will transpire in the future, without the use of a divinatory instrument. Many people in reference to divining or other use of ESP have an erroneous idea of what to expect and how to proceed. As a consequence they do not get satisfactory results, and decide they have no such ability. Yet there are very few people who cannot learn cup divining, although as in the exercise of inner-plane faculties by other methods, or, for that matter, as in the exercise of any other art, there is a knack to it. In almost every case all that is necessary finally to get this knack is to do considerable experimenting and persistently to practice. Nor is there, as I have tried to make clear, anything unnatural or detrimental in such practices provided hypersensitivity or mediumship is not cultivated. There is a right way and a wrong way of doing almost anything. One can injure the eyes by reading in the twilight, and one can injure the ears by contacting noises that are too loud; but we do not jump to the conclusion from this that people should not acquire information through reading and listening to others. Nor should we condemn the acquiring of information through the exercise of the senses and faculties of the soul merely because it is possible to use them under conditions that are injurious. Instead, we should realize that after a date not too distant, if we are to acquire information we will be compelled to rely exclusively upon ESP because, having passed from the physical, we will no longer have physical senses and a brain which we can thus employ. Such training in ESP and other soul activity as we can get before the transition, will make that much less training necessary when we move into the after-earth life. December 8, 1921, 12:30 p.m. 87:45W. 42N. had birth timed to the minute. 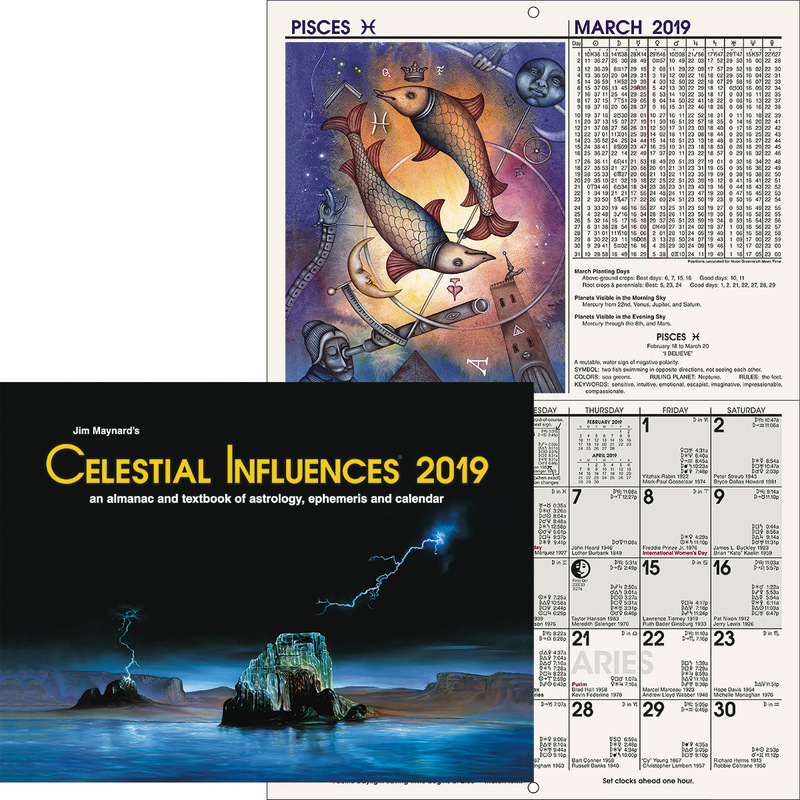 1932, March, first started swimming: Jupiter sextile Neptune p Venus sextile Jupiter r, Moon sextile Mars r.
1934, June, shot accidentally in right arm: Sun square Moon r, Mars sextile M.C. r (not in orb in Virginia’s chart, and she had no accident. 1935, June, won state swimming championship: Mercury sextile Mars p.
1936, March, broke Florida record: Venus sextile Mars r, Moon sextile Neptune r.
1937, February, won So. Pacific meet: Mars inconjunct Moon r.
1938, swam on national relay team: Mercury semisextile Venus r, M.C. square Jupiter r (not in orb in Virginia’s chart). December 8, 1921, 12:35 p.m. 87:45 W. 42N. 1932, March, first started swimming: Jupiter sextile Neptune p, Venus sextile Jupiter r, Moon sextile Mars r.
1936, June, broke three ribs, also disqualified from Olympics through lack of funds: Venus sextile Mars r, Moon conjunction Mars r, Mars sextile M.C. r (not in orb in Marian’s chart, and she had no accident). 1937, June, won first national championship: Mars inconjunct Moon r.
1938, broke four world’s records and one national record: Mercury semisextile Venus r. Did much better than Marian this year.